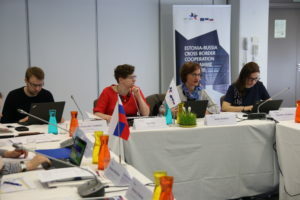 On 4-5 April 2018 the 3rd meeting of Selection Committee (SC) for the assessment of full applications of the Estonia-Russia Cross Border Cooperation Programme took place in Tallinn, Estonia. Members of the SC were introduced by the Joint Technical Secretariat with the results of the Administrative and Eligibility Check of Full Application Forms (FAFs) and statistics on the submitted applications within the 1st Call for Proposals. As the main purpose of the meeting was to harmonize interpretation of assessment criteria, the training on principles and criteria of projects evaluation for SC members was held. Also TESIM expert, Mr Edmunds Snikeris, presented practical aspects of quality assessment of FAFs. Projects were distributed among the assessors. Full applications will be evaluated by SC members. Additionally external experts of certain fields were recruited in accordance with the Programme requirements and approved at the session. 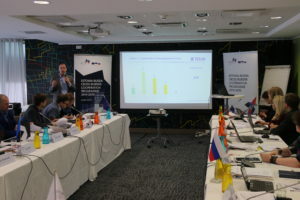 During the meeting time plan of the 1st Call projects’ assessment was reminded, in accordance to which final list of approved project applications for award of the Estonia-Russia CBC Programme is expected at the end of June 2018.